In the on-line role-playing game “MapleStory,” players can earn the Black Wings Hat, a black and gold hat bearing weapon and magic defense capabilities, through the completion of a quest available only to players with levels 60 and higher. While players may long to trade or sell the hat for Maplestory mesos, only the player who earned the hat in a quest can keep and use it. Any character can wear the Black Wings Hat, regardless of character class. Travel to the town of Edelstein when you reach Level 60. Go to the Dry Road: Road to the Mine 1 and speak to Stephan, the Black Wing watchman, a non-player character wearing a black and gold coat. He has a large brown moustache and a big nose. Players will earn experience and complete the “Secret Proposition” quest, a requirement to enter the quest, “Purchasing a Disguise.”Speak to Stephan again immediately after completing the “Secret Proposition” quest. You must pay 100,000 mesos. 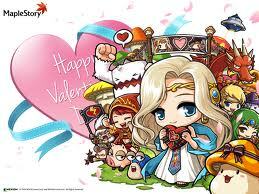 Earn Maplestory mesos through other quests, battles, or through trade or sale with other players or merchants. Speak to Stephan again if you did not have the money the first time.Pay Maplestory mesos to Stephan. Speak to him again and he will give the player the Black Wings Hat. Players must use the hat in the “Another Method” quest, available to players Level 61 and higher, in which players talk to Von at the Mine Entrance on the Dry Road. 1）The Black Wings Hat boasts 30 defense against magic and weapon attacks. While players of any level can technically wear the hat, only characters of level 60 and higher can participate in the quest to buy it. 2）Players can upgrade the Black Wings Hat up to five times. 3）”MapleStory” describes the Black Wings Hat as a “one-of-a-kind” item. 4)Players must complete the “Ready to Enter” quest before tackling the “Another Method” quest to get into the mine. Von will not allow the player to enter the mine until the player acquires and equips the Black Wings Hat.